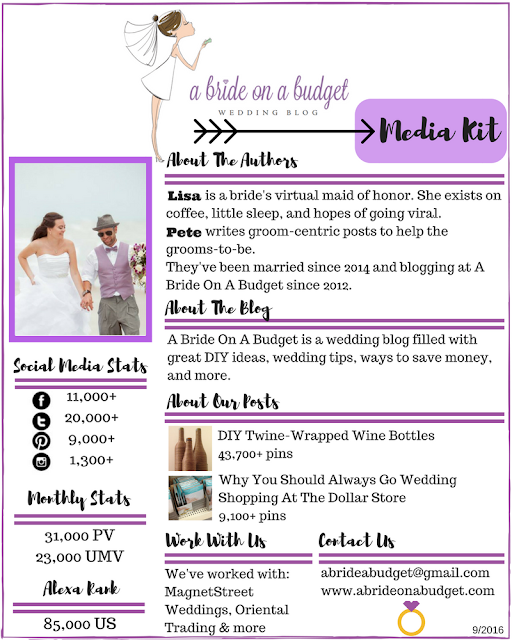 Brands ... do you have something great that A Bride On A Budget's readers would love to know about? Let me know! 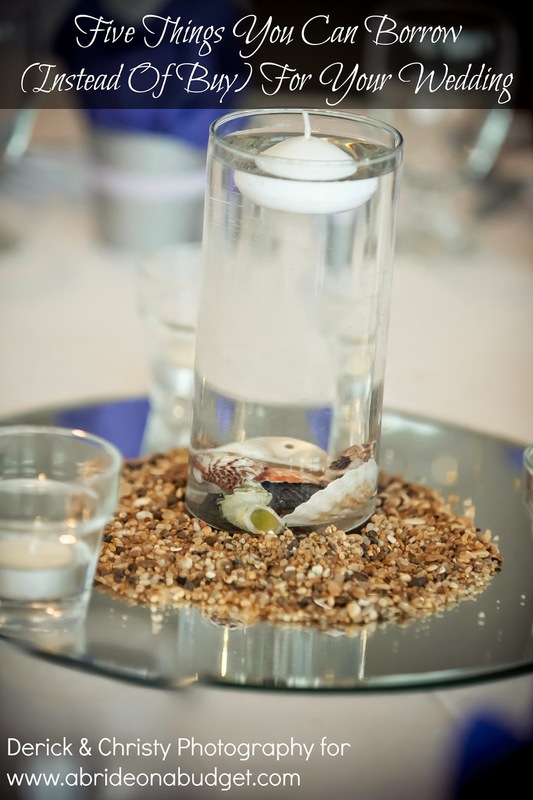 We put together fantastic wedding DIY tutorials and want to include your products. 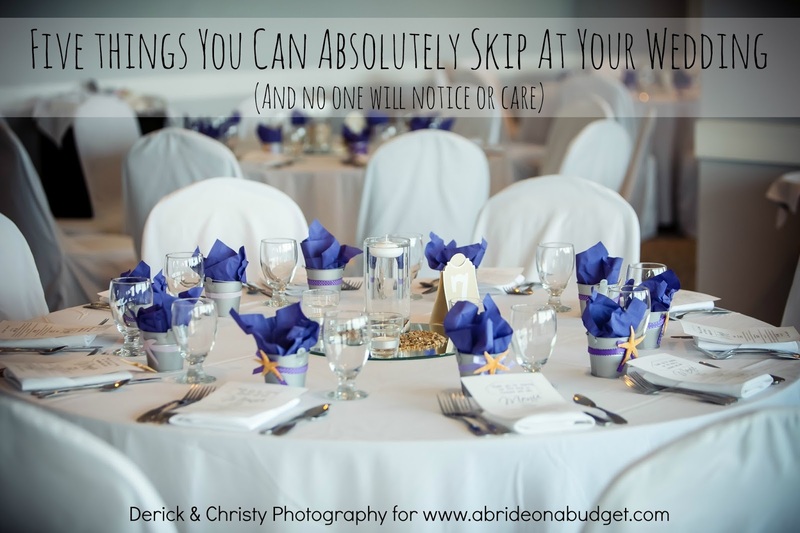 Have something wedding guests would like? Let us post about it. We offer sponsored posts, social media packages, Twitter party hosting, event coverage, and more. 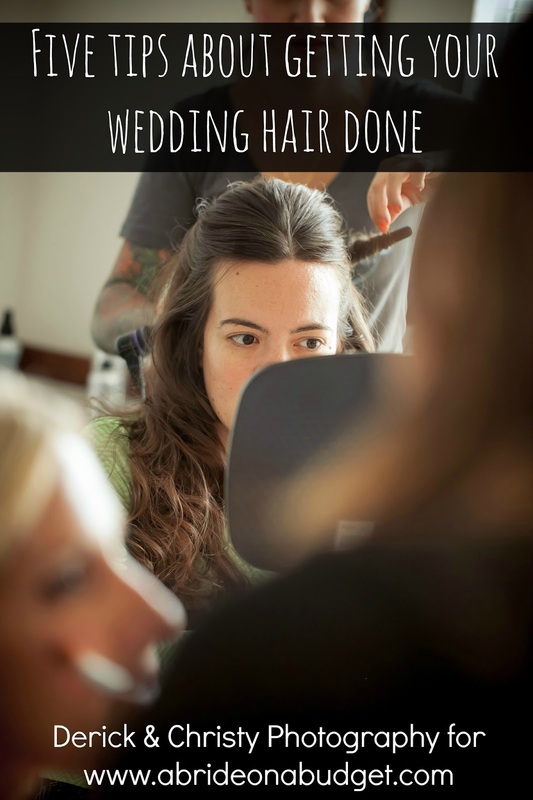 On A Bride On A Budget, we generally don't post straight product reviews. Our audience isn't receptive to those posts. Instead, they choose to engage with posts that are more problem solving so I use those to add products and sponsored content. Our Ultimate Thank You Guide post is actually a review of MagnetStreet Weddings' thank you cards. Prior to working together, we will discuss options and put together a package that makes sense for the brand, A Bride On A Budget, and our readers. Take a look at our Media Kit below and send us an email at abrideabudget@gmail.com. Brides ... We only work with brands we love and trust. If a brand isn't a good fit for the blog and for you, we decline a partnership. Helping you plan your wedding is our top priority. If we can connect you with a brand that will help in any aspect of your planing, we will. But if the brand isn't one we feel will benefit you, we pass.